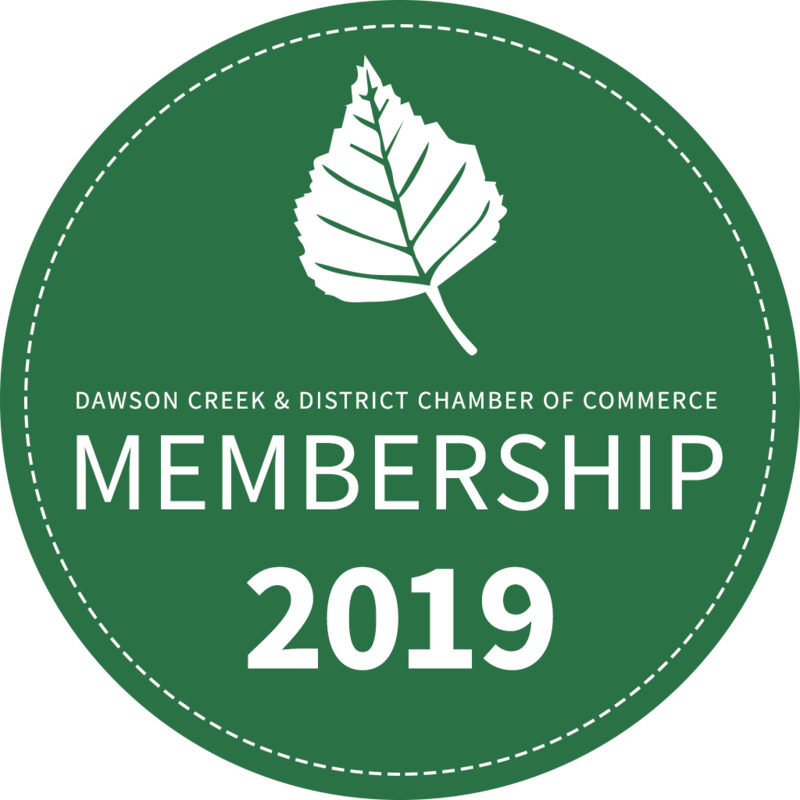 the Dawson Creek & District Chamber of Commerce is a catalyst – a common vehicle mobilizing enlightened members from all segments of the business community to work together for the common good of the entire community. With the aim of achieving economic success – staff, volunteers, and business people strive to keep our area’s economic conditions at a level where businesses and residents willingly and enthusiastically risk their capital in the hope of making a profit. The Objective of the Dawson Creek & District Chamber of Commerce shall be to lead, promote and protect the economic and social prosperity of Dawson Creek and District. Are you a member and want to be added to our newsletter? Contact us to sign up! Our Board of Directors and staff are always available to answer any questions you may have about the Chamber of Commerce and Dawson Creek’s business community. Give them a call or email if you’re interested in joining the Chamber or to find out more about their businesses! The Chamber of Commerce is the voice of business. The Chamber of Commerce is a catalyst — a common vehicle mobilizing enlightened members from all segments of the business community to work together for the common good of the total community. With the aim of achieving economic success, staff, volunteers and business people strive to keep their area’s economic conditions at a level where businesses and residents willingly and enthusiastically risk their capital in their community in the hope of making a profit. Everything else the Chamber does is a means to an end (events, mixers, fundraisers and meetings). Who funds the Chamber of Commerce? A Board of Directors, elected by the Chamber of Commerce’s members, runs the organization. The Board, serving as volunteers, sets the policies and goals of the organization. Staff (Executive Director and Assistant to the Executive Director) are responsible for completing the objectives and goals of the Board. Volunteers provide the ideas, the drive, the goals, the funds and the voluntary services to keep the Chamber of Commerce motivated and operating. Do members ever disagree with what the Chamber does? The only way for the Chamber to avoid disagreement on some ground is to do nothing at all, or do only those rare things in which everybody agrees. But that would mean a meaningless or feeble program of activity. The major benefit of membership is the Chamber of Commerce acts as the unified voice of the area businesses, including industry, retail and professional firms. Chambers of Commerce also provide their members with value-added programs available only to members (i.e. merchant rates, comprehensive group insurance, courier and natural gas to name a few). The savings from these programs often offsets the cost of membership. Strong membership involvement in its activities will increase the impact and effectiveness of the organization. Chamber of Commerce membership is an investment in the present and future of the individual’s and the community’s welfare. What is the benefit of a Chamber to the community? In any community, it is from the profitable operation of business that all other benefits result. Only by succeeding in this fundamental goal can a community provide the jobs and produce the wealth to finance all of the cultural, charitable and various other needs a community is faced with everyday. Interested in becoming a member or learning about member benefits such as extended medical and dental benefits, reduced fuel costs, discounted debit/credit card fees? Contact our office for an information package!